And it is. Plus, you truly deserve one, you rockstar. But massages are expensive, so you head to Bed Bath & Beyond and purchase a handheld massager for $50 (I see you there, big baller). The massager starts shooting flames and burns the living sh** out of you. Listen, friend, this isn’t a made-up nightmare. This is reality. HoMedics has recalled about 400,000 handheld massagers due to short-circuiting that can result in burns. And yes, shooting flames. You just wanted to chill and finally decided to indulge in a little bit of that treat yo’self business. You were looking forward to some serenity in the comfort of solitude. But your handheld massager had other plans. And you’re angry. Hurt. Upset. Feeling betrayed. On May 2, the company recalled about 400,000 handheld massagers. The recall came after a February 2017 complaint from a customer who claimed the device caught fire where the power cord enters the device handle. Unfortunately, the CPSC says that 15 people have reported burns to their fingers and other parts of their bodies. Bed Bath & Beyond, Macy’s, Rite-Aid, Walmart, HSN and other stores nationwide sold the affected devices, which retailed for $30 to $50, from August 2013 through February 2017. The recall includes three models: HHP-375H model Handheld Dual Node Percussion Massager with Heat, HHP-250 model Handheld Hot and Cold Massager, and the PA-MH-THP model Handheld Compact Percussion Massager with Heat. If you purchased one of these products, the CPSC urges you to stop using it immediately and contact HoMedics at 1-888-803-0509 for instructions on removing the cord. HoMedics will try to smooth everything out with a credit toward a replacement product. Stay safe out there. A hand massager that shoots flames sounds scary AF. 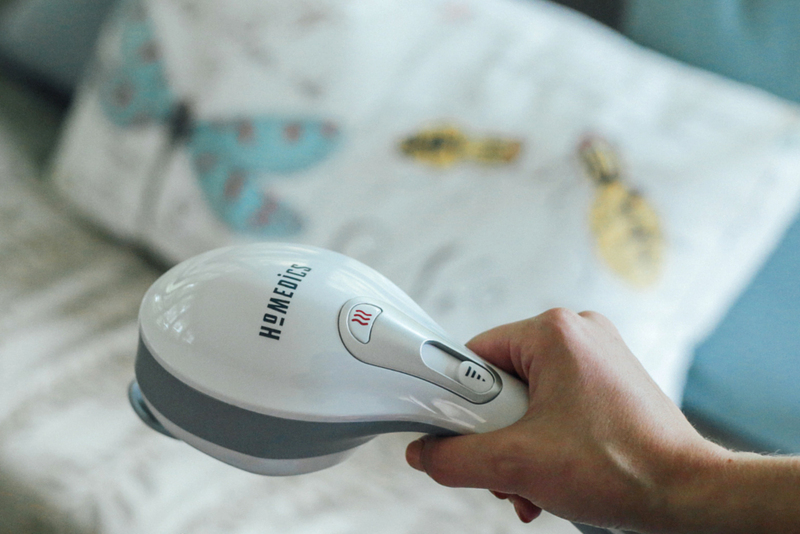 Your Turn: Were you burned by a handheld massager from HoMedics?